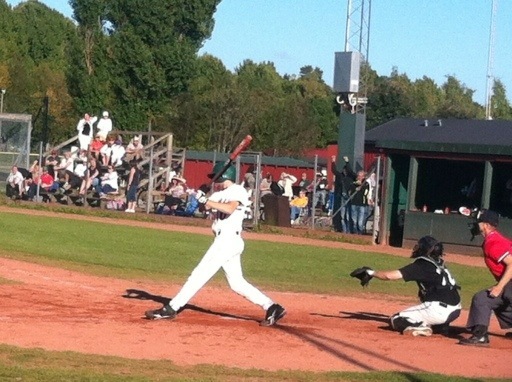 Stockholm has won this year’s Swedish baseball championships, defeating Karlskoga 13-3 and 6-2 in Saturday’s doubleheader. That gives them an unbeatable 3-1 standing in the best of five series. Karlskoga, last year’s champions, was ahead 3-1 before Daniel Wood’s homerun in the bottom of the 4th gave home team Stockholm a 5-3 lead. Stockholm added to the score, and won in the 7th inning on the mercy rule. Stockholm has won the Swedish championships three out of the past four years, with Karlskoga winning last year.